SBSettings is a very popular cydia app among people using Jailbroken iDevices, It is very useful and saves time. It makes easy to switch On or Off WiFi, Bluetooth, 3G, EDGE etc. It is very handy and you can access it just by swiping status bar, if used with Activator. A Good thing about SBSettings is that it is Theme-able, that means you can Download and keep different themes, A huge number of themes are available on Cydia, But How to choose from such a big list, Here are some of the Best SBSettings Themes. To Download, Just search Theme name in Cydia and then Tap on Install. Below are some of my favorite SBSettings Themes, they are free of cost and take very less memory space. Shwank is really cool theme for SBSettings, It contains 30 toggle buttons plus custom Dock and Hold Buttons. This theme is available on Modmyi Repo "http://apt.modmyi.com"
Another Beautiful SBSettings theme, Smoog is a colorful sleek theme and one of my favorites. This is one of My favorites, It has a good looking Dropdown window with iOS 5 rounded toggles. 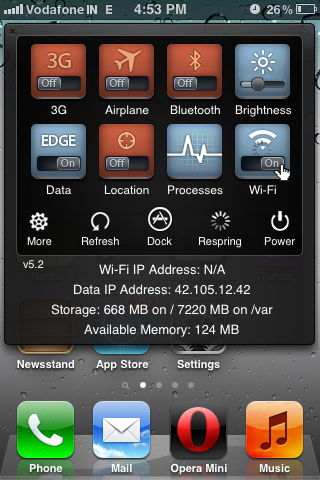 It matches great with iOS 5 and is available for free. This theme has a cool dark metallic look, Big buttons with metallic finish. 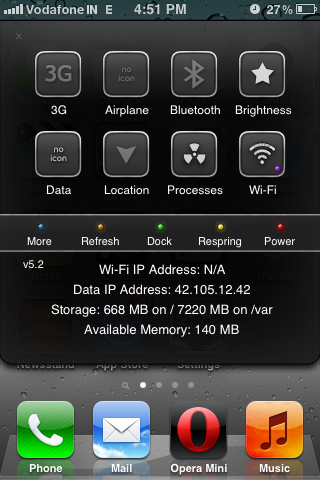 This sleek theme is available for Free from cydia. Serious SBSettings is Seriously Awesome looking theme and Is one of the Best SBSettings themes. This theme gets installed with SBSettings, You can find it under themes in SBSettings menu. Gruppled is very popular theme and it is worth downloading, It has a greyish look and Big Buttons. Apple Congruency is another cool theme and It comes in 2 different colors, Blue and Black. Both gets installed when you install the theme, It has big buttons and transparent like background. This is one of the Default SBSettings theme, It has a cool junkie appearance. You can find it under default themes. 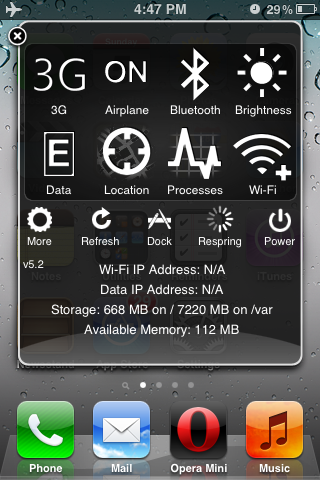 So there you go, These were some of the Best looking SBSettings themes available for free from cydia. Hope you guys liked it, Please leave your comments below and tell me which one you found best.